Mixer grinder has always been the part and parcel of every household and hotel. As such we have a very favorable market in this area. With the increase in number of sellers in India, the market is flooding too. Hence, your job as a buyer should be to consider quality first before buying. We have therefore come up with a list of the top 5 Mixer Grinder in India based on their quality and durability. Some of these names have remained almost ubiquitous in most of the households, restaurants and food hubs in India. Bajaj is quite old in the home appliances product market. 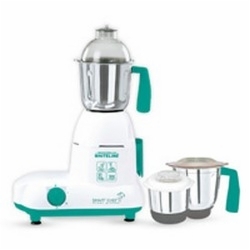 The present product range has a total of 4 mixer grinder products viz. Bajaj GX. 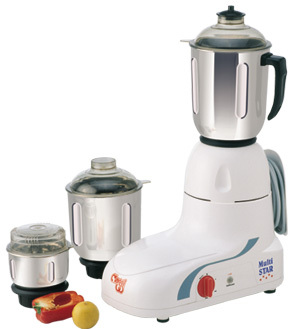 The latest addition to the series is known as Bajaj Bravo 3 mixer grinder. The GX series comprises of two models under the brand names of Bajaj G X 7 3 jars mixer grinder, Bajaj GX 11 mixer grinder and Bajaj Bravo 3 mixer grinder. Each of these model consume 500 watt power and are rich in features like wet grinding, dry grinding, Chutney grinding, and mincing. The combo pack under Bajaj GX 7 3 grinder is a bit costlier. Bajaj range of mixer grinder costs around Rs 2852 to Rs 3917. The reliable Panasonic comes in four models viz. Panasonic MX-AC300S, Panasonic MX-AC 400, Panasonic-MX-AC210, Panasonic-MX-AC-220, and Panasonic-MX-AC300. They are efficient and fantastic. You can change the number of Jars and switches change in the models as per their uses, i.e. soft and heavy uses. 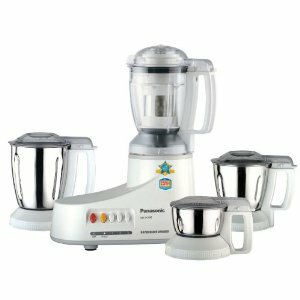 Panasonic mixer grinders cost around Rs 2799 to Rs 4499. They are also available from www.flipkart.com. Jaipan kitchen appliances are also a reputed name in this field. The biggest advantage of this brand is that they are sturdy and simple to use. Jaipan mixer grinders cost Rs 2092 and Rs 2260 respectively. Maharaja has been in the Indian market as a trusted name in the home appliances segment. The grinder-mixer-juicer segment in the home appliances is probably the most reliable product. There are around 6 models available under this brand. 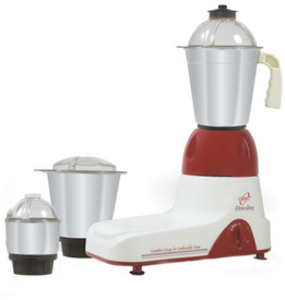 Models are Maharaja Whiteline mixer grinder (medium, champion, popular, smar chef plus etc). They have various capacities from small, medium to heavy power. 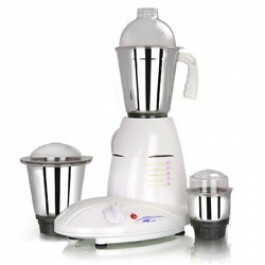 Maharaja mixer grinder costs around Rs 2456 to Rs 2456. Orpat was first launched as the manufacturer of calculators. Later on it spread to other branches as well. A few of its mixer grinder machines and models include as Orpat kitchen cool mixer,Orpat kitchen King mixer, Orpat kitchen Chef mixer, Orpat Kitchen jewel mixer, Orpat Kitchen Jewel mixer,Orpat kitchen gold mixer, and Orpat Kitchen Master mixer. Orpat mixer grinders cost around Rs 1519 to Rs 2238.